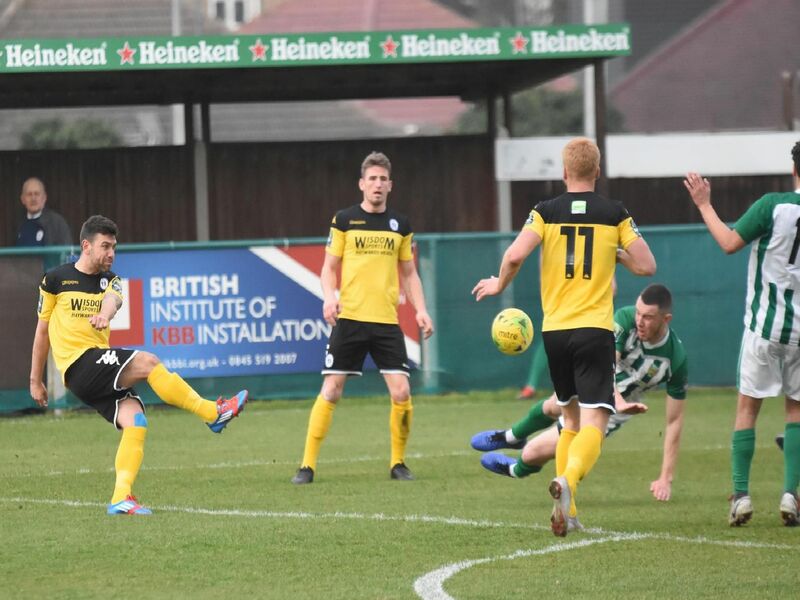 Haywards Heath Town suffered a disppointing 3-0 defeat away at VCD Athletic on Saturday. The win meant the hosts closed the gap on Heath to just six points with five league games to go. Photographer Grahame Lehkyj was at the game - here are his photos. Andrew Dalhouse shields the ball under the watchful eye of manager Shaun Saunders. Alex Laing dribbles the ball out of defence. Karly Akehurst comes in to challenge for the ball. Callum Saunders challenges the keeper.